Countingup is your accounting and banking in one place for small businesses. Our smart business current account can be opened in minutes rather than weeks, it automatically categorises transactions to allow for automated financial statements and it will use that information to populate tax and VAT returns to be filed directly to HMRC from the app. It’s the simple, easy, time-saving way to run your business, so you can enjoy your business. Having previously observed thousands of businesses doing their accounts, something became obvious to me. The business bank account contains the actual transactions happening within a business, whereas the accounting system is the explanation of those banking transactions for compliance and tax. The bank account is the ‘What’ of your business (i.e. the actual transactions), while the accounting is the ‘Why’, (the interpretation of those transactions). Most people hate doing the tax and compliance side so they only find out the ‘Why’ months after the bank transactions actually happened. Many self-employed sole traders leave it right until the end of the tax year because it is quite frankly boring and time consuming but then they’re suddenly under pressure to get their tax return done. Our idea was what if those two systems (banking and accounting) were one system? And what if that system updated in real time? And so, Countingup was created. Before Countingup, I was the founder and CEO of a cloud accounting company called Clear Books plc. I stepped down as CEO after 9 years of running the company so I have a lot of experience in the accounting software industry. 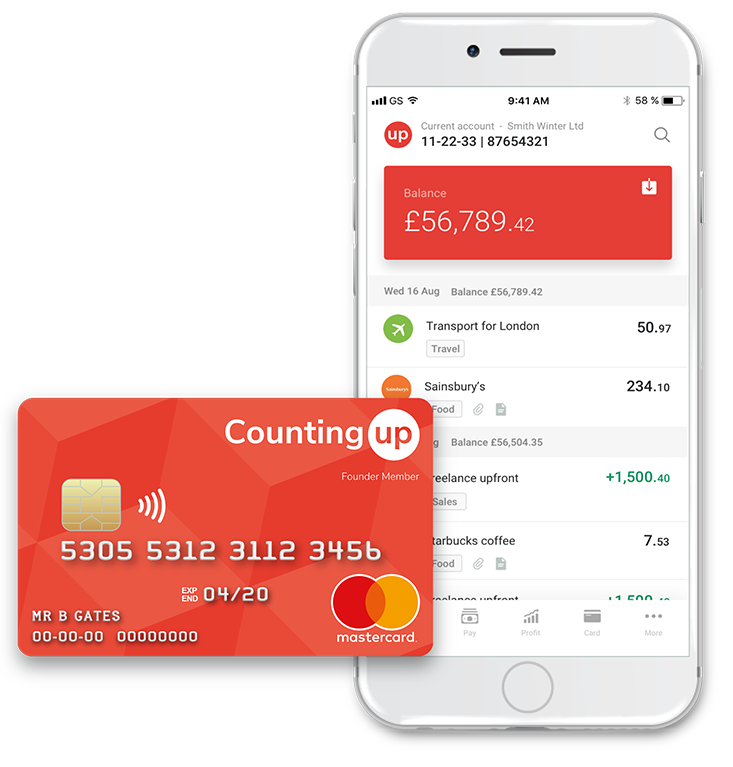 Countingup is a fix to not one, but two of the biggest pain points for small businesses today: banking and accounting. It’s a brilliant solution, and it’s no mean feat! 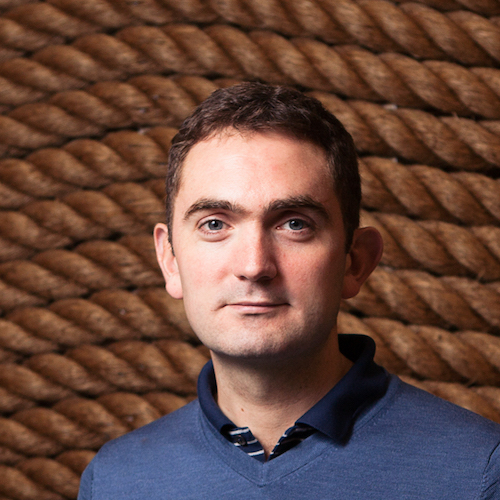 How have you approached launching a business that’s big enough to handle these challenges? It made no sense to me that businesses use accounting and banking as two separate systems. Even worse, most business owners leave it months or right up until the end of the tax year before they access their accounting system to manually do the books. So I never really saw it as this huge challenge or something that was impossible. I had already built a cloud-based accounting software company before, and after seeing the plethora of neo-banks come through to disrupt the retail banking market in the last few years, I became more and more convinced that this was something that could be built quickly and that entrepreneurs would find value in. Eventually, I ran the idea by my CTO/co-founder/old friend Mike Moate and asked him about the feasibility of it. We wanted to build the initial product quickly, but maintain a high-quality experience at all times as well. That was by no means an easy thing to accomplish, but the fact that we knew we wanted flexibility, speed and quality to be hallmarks of the product from the very beginning meant that we broke what looked like a mammoth challenge into more modular, achievable goals. This isn’t your first startup venture, although you started your career in a more traditional corporate environment. What was it that made you want to become an entrepreneur? I’ve been coming up with ideas and trying to create ways to make money from them for as long as I can remember. After I graduated from university I built a website and monetized the traffic with Google ads. The ads soon started paying enough for me to live on. That was a realisation for me; that starting a digital business and generating revenue has few barriers. It just requires a good idea and commitment to make it happen. However, I acknowledged the risk of being an entrepreneur and also the lack of business experience that comes with being a startup, so I joined KPMG and qualified as a chartered accountant. This gave me a profession to always fall back on and the understanding about what makes businesses tick financially. We believe that every small business should have their accounting and banking in one place, because it’s the simple way to run a business. We’re on a mission to make that happen. What’s the one skill you wish you had most, that you don’t already have, to help establish Countingup? And how (if at all) have you addressed that gap so far? There’s no skill I wish I had, but that’s not to say I don’t want to continuously learn new skills and improve. But what I mean is, the fact that I lack domain expertise in some skills is why I hire people better than me in those areas to put Countingup in the best position possible. I often think of my role as a CEO in a startup is to do absolutely everything (product, sales, marketing, support, finance etc.) and then slowly make myself redundant by employing people better than me to focus on those roles. In the end my role as CEO will transition to focusing on our vision to give every small business their accounting and banking in one place. How did you go about pulling together the right team for this kind of startup challenge? So far we haven’t used a recruiter. We’ve either drawn from our own network of talent or headhunted people. Countingup is the first venture-backed business I’ve created and there are quite a lot of legal terms specific to startups financed in this way. So I was very grateful to one of our angel investors who took me through the terms and explained how they could be favourable or not to the founder. Having run a business before, I was reasonably prepared for the legal documents that would be required but certainly as you start hiring people getting the employment contract right is a must. In a technology company your employees are your biggest cost and the source of all your productivity so it’s sensible to invest time getting a robust contract in place.